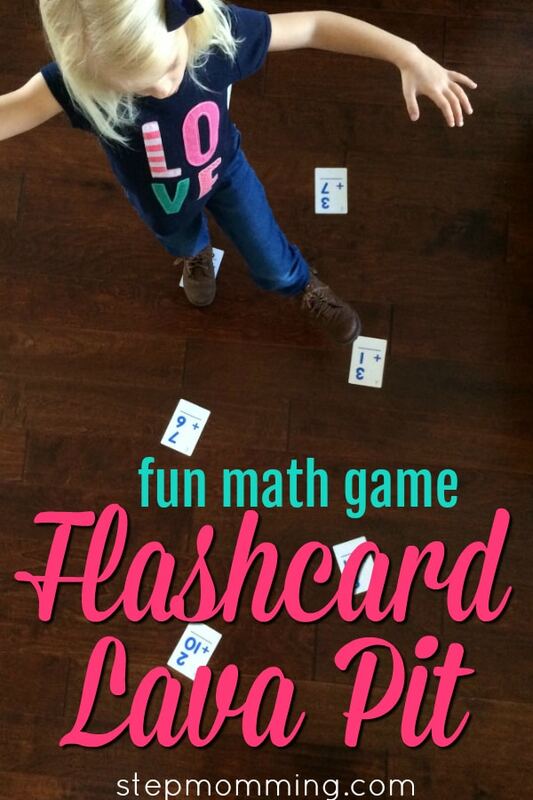 You are here: Home / Family / Education / Brilliantly Easy Math Game for Kids: Flashcard Lava Pit! 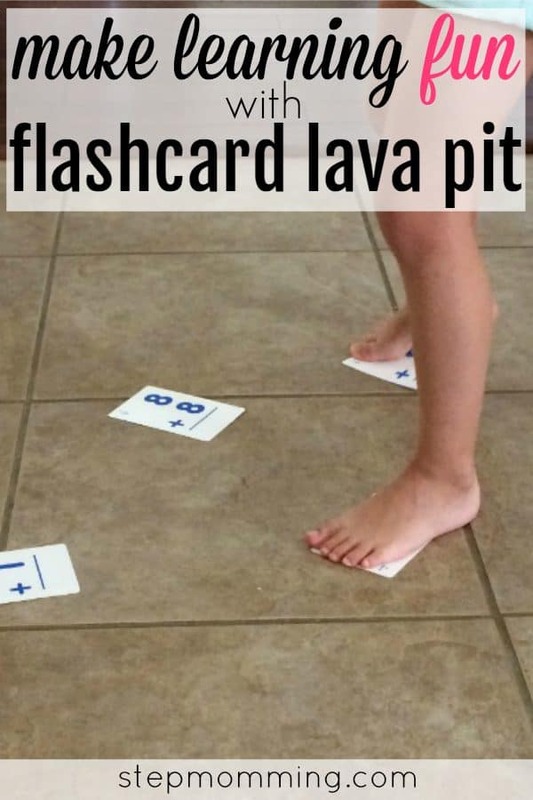 Brilliantly Easy Math Game for Kids: Flashcard Lava Pit! From Barbies and G.I. Joes to slaying dragons, saving damsels in distress, and playing princesses, children love imaginative, creative play. They’re eager to create new worlds, stories, and characters for themselves. Action-packed plot lines excite them and capture attention for hours. Adventure and excitement are synonymous for our little ones, and that’s the beauty of childhood: eager eyes, inquisitive minds, and excited souls. Capitalize on that endearing quality of your children and teach them how they know best: through adventure! I’m so excited to share with you one of my very favorite math games for kids! Flashcard Lava Pit has proven to be a hit in our home many times, and our little K just can’t get enough of it! What’s so great about this game is that you can really play it with any kind of flashcard. We’re currently working on addition and subtraction, so that’s the kind of lava pit we created! That’s it! How easy is that?! 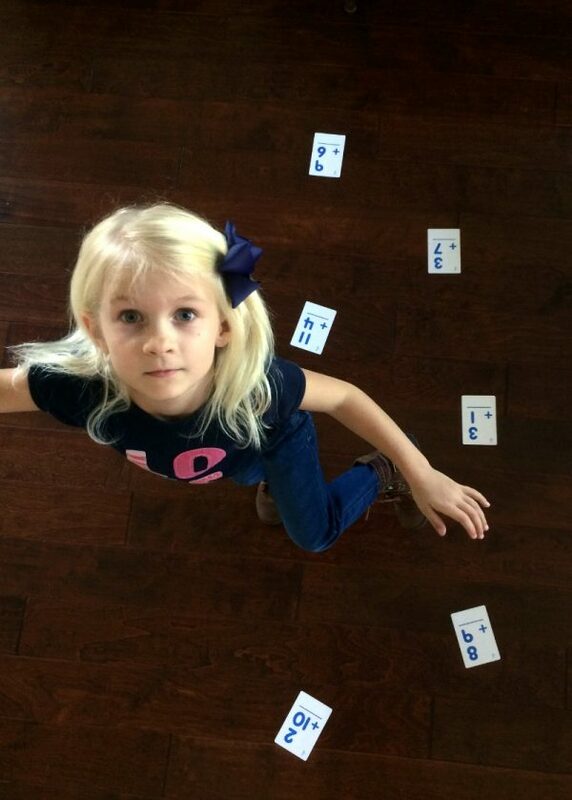 Set up a path of flashcards at about a step’s distance from each other down the hallway, in the driveway, or in your child’s bedroom. Explain that the ground is full of boiling hot lava and the only way to cross to the other side is to use the flashcard “bridge”! Children can only have one foot on a flashcard at a time, and they’ll have to balance until they can solve the next flashcard’s problem and move forward another step. Once all problems have been solved, the game is over, and the child has successfully crossed the lava pit! 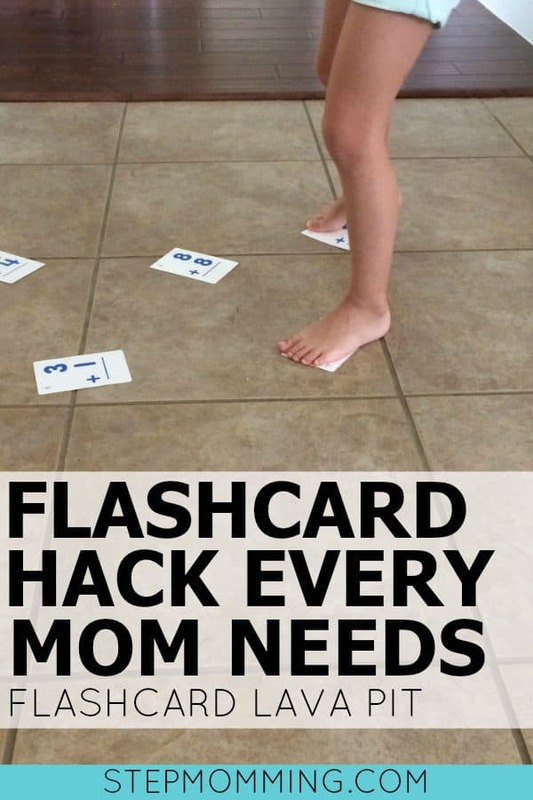 Mix things up a little bit by having your child walk backwards across the lava pit, or mixing a combination of flashcards on the path to challenge multiple math concepts at a time, or having him balance a book on his head while he plays (bonus points if it’s his math textbook)! You can play this math game for kids as many times as you want! A full box of flashcards will get you through several different lava pits without repetition of cards. 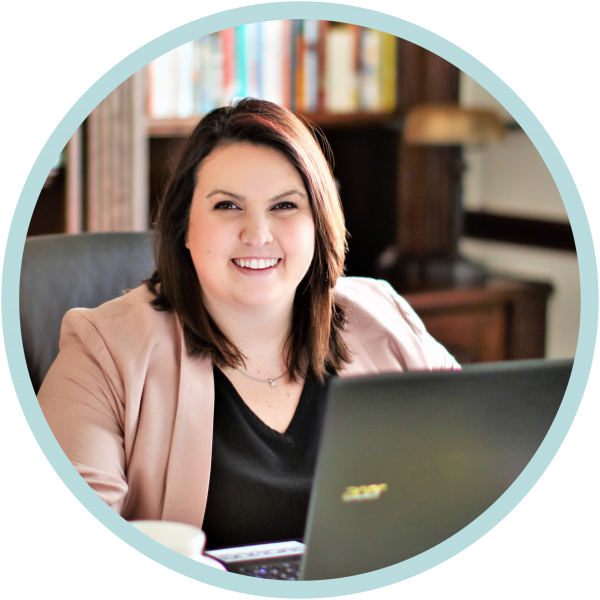 PS: Want to learn more about the other exciting ways we recommend you teach math, science, reading, writing, and other critical skills to your child? Want to raise a brilliant child? Want to be the coolest Mom on the block? If you answered “yes” to at least one of these questions, it’s time for you to check out Beyond the Classroom. BTC is our mission to transform education into an adventure and to encourage children to have fun learning. I love using games for all sorts of learning. When I go to the used curriculum sales in the spring, my main goal is to find games. Sum Swamp is a good one – now we use it for multiplication.